The Sicilians are used to Etnaâs tantrums, and not just the frightening eruptions which make the night glow red. 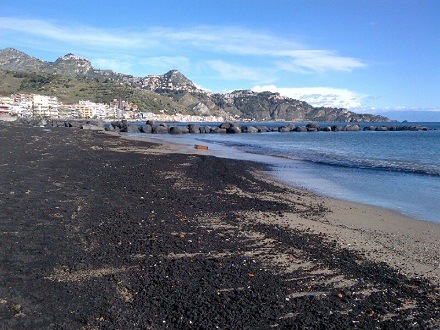 Often the puffs of ash can become very strong, and the towns situated between Catania and Messina, are covered in dense volcanic ash, accompanied sometimes by a downfall of stones as big as walnuts. In the last few years, this problem has caused a lot of inconvenience to the population at least three times, damaging cars and making it difficult to keep public transport moving. If all this has a certain fascination to the eyes of the tourist, for the Sicilians it is the most awe-inspiring display of nature, which is always to be feared and respected. The only ones to be glad of this âblack rainâ are the owners of the wineries: the volcanic sand enriches the earth with mineral components which make their wines, already famous worldwide, even more special and, therefore, itâs not by chance that they are also called the âblood of Etnaâ.